Real-time data and marketing are revolutionizing the way businesses market to customers and prospects. Now at the end of about 50 years of evolution in commerce, we’ve witnessed the obsolescence of a global industry that has grown accustomed to intrusive push marketing via expensive television and radio ads, marquees and static billboards. The specific needs and behaviors of the consumer are what drives successful marketing. Marketing campaigns are shifting towards opt-in formats versus intrusive ads and with greater focus on aligning offers with behaviors, demographics and other consumer characteristics. The more retailers know about their customers and prospects the better they are at selling products that people want. Intelligence is driving the marketing push and is yielding stronger results. As Black Friday and the peak of the holiday shopping season draw near, it’s expected that total retail sales for November and December will increase by 4.1% over last year to $616.9 Billion. There’s much at stake and retailers are scrambling to execute solutions that work. Real-time offers based on intelligent use of market data is among the most effective and practical strategies for businesses. Here are a few tips on how market intelligence can help retailers break sales record this holiday season. If you know who your prospects are, what they like, what influences their purchase decisions or how they typically respond when presented with particular sets of information, you’ll be more likely to offer products or deals that are best suited for the target audience. Simply put, a targeted approach is much more effective than the “spray and pray” method that a vast majority of retailers employ. For retail Ecommerce sites, conversion rates have historically been in the low single digits ranges resulting from a range traditional marketing approaches that in many instances make assumptions regarding customer behavior and how each segment is expected to respond. Intelligence and intimate knowledge of consumers allow for the creation of highly customized offers. This enables retailers to steer the right customers to the right products, at the right time, the right price and in the best channel. One powerful example of intelligence in action is Microsoft’s success with email offers for its search engine, Bing. Advanced analytics software analyzed users’ clickstream, location, age and other historical online activity along with data on responses from other customers to create ads that were so precisely targeted to their audience that they increased conversion rates by as much as 70%. That’s a dream for any campaigns average retailers could ever execute. This is intelligence based marketing in action and shows why knowing your customer is the best starting point. There’s no excuse for being in the dark where market knowledge is concerned. In addition to your own observations and data collection efforts, Google provides deep insight into market conditions that will essentially help you formulate your sales strategy. Black Friday has turned into a month-long shopping event with retailers pushing deals and offers as early as Halloween. The image below highlights some of the most active days for shopping and consumer product search activity. Knowing in advance when shoppers’ interests and search activities peak will not only help retailers develop effective SEO and search engine marketing campaigns but will also aid in inventory management and sourcing as they prepare for the rush. Knowledge of your market aligns closely with assessing and anticipating customer behavior and will be a vital part of your sales strategy. The best time to acquire new customers and close sales is when the customer is interacting with your brand and business and is engaged with what you have to say. Real-time marketing affords retailers the ability to use current data on customer preferences and behavior to make offers most relevant to them at that point in time. This approach, used instead of retargeting when the prospect has already abandoned their cart or left the site to never visit again until they see another ad off-site, produces better results based on the fact that closing takes place during engagement and not after when interest is lost. For example, Target launched a “pregnancy predictor” experiment in 2012 to predict which of their shoppers were likely pregnant based on their current and historical purchasing history. Essentially, Target identified 25 products that, when analyzed together, allowed them to assign a “pregnancy prediction” score to each user. One example given of a woman who, “…in March bought cocoa-butter lotion, a purse large enough to double as a diaper bag, zinc and magnesium supplements and a bright blue rug. There’s, say, an 87 percent chance that she’s pregnant and that her delivery date is sometime in late August.” While many would consider this a somewhat creepy experiment based on the subject matter, it demonstrated the potential of better customer intelligence to drive sales. With this knowledge, Target’s ability to show this consumer a targeted offer in real-time will likely result in a marked uptick in sales and average order value, while she is still searching and engaging the site. The democratization of big data has allowed even smaller retailers to gain deeper insight into what makes their customers tick. 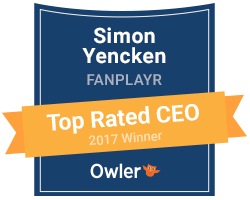 Fanplayr has dedicated a great deal of resources building a service that allows any business to affordably gain access to this deep knowledge without the need to invest in enterprise-grade infrastructure to mine and dissect customer data. Therefore, aligning market intelligence with your real-time marketing efforts will not be a labor intensive exercise but will rely on systems built to crunch the numbers and present results based on your goals. Once you’re ready to execute, be sure to begin with knowing your customer, directing your energy to understanding what they want; not treating them as statistics, but instead laying the foundation for establishing stronger relationships to serve them better. Want to learn how your business can increase conversions through smarter targeting, visitor behavioral intelligence and real-time offers? Request a free demo of our service and we’d be happy to get you on board.